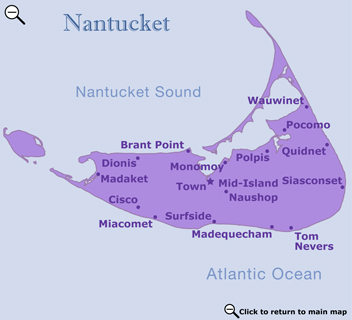 Monomoy is a lovely area set on a quiet corner of Nantucket Harbor and only 2 ½ miles from town. Residents enjoy the private beach and views across the harbor of Coatue's barrier beach and wildlife refuge, Great Point as well as Nantucket town and the Yacht Club. Monomoy is within walking distance of the well known rotary (only one on the island) with a grocery store, hardware store, Post Office, many restaurants, and retail stores.